Introduce an aura of tranquillity into your home with soft dusky blue palettes. 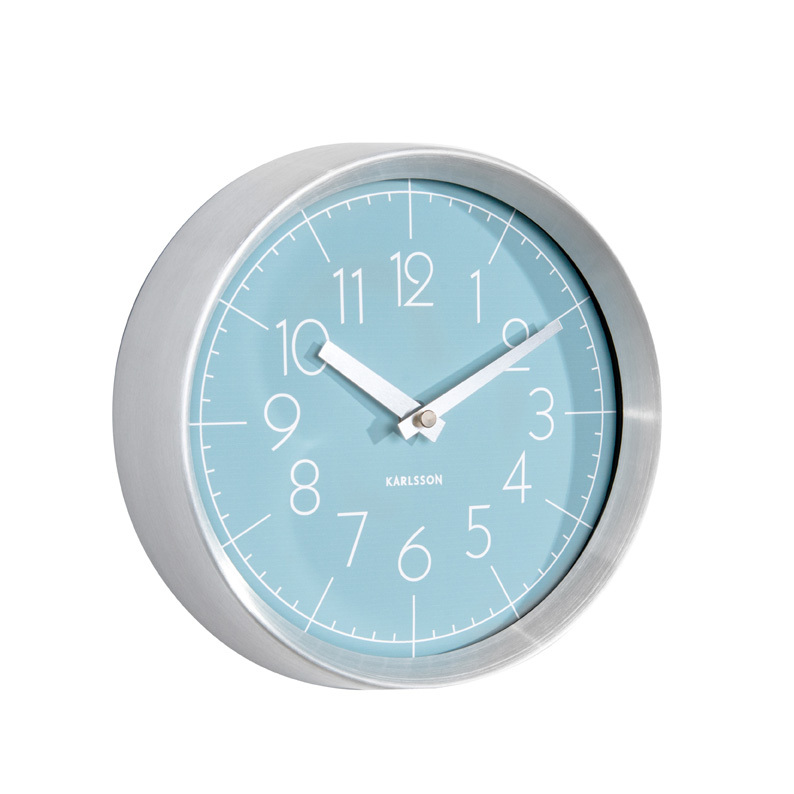 Our beautiful wall clock is the perfect decorative piece to set the scene. 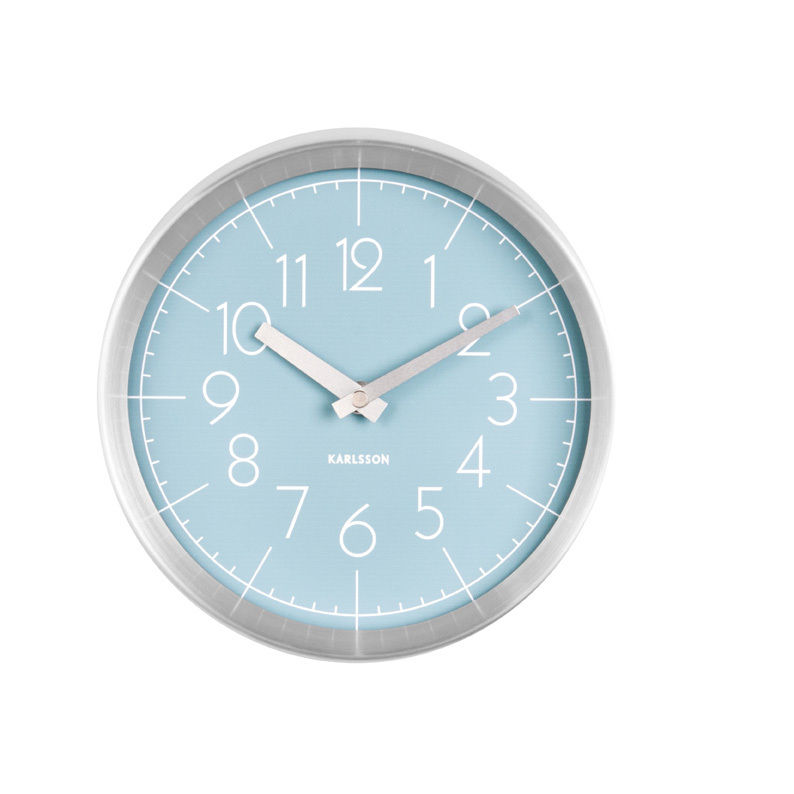 Encased in a brushed aluminium case, the blue face offers bold modern style numerals in white with a set of matching white hands. Hang next to grey or cream lacy curtains for a serene and elegant look in a bedroom. Timeless for all seasons! Convex glass cover. Size diameter 22cm, depth 7cm.